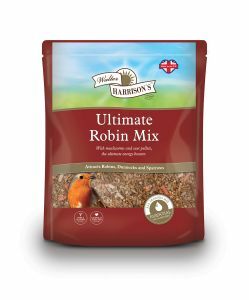 Specially formulated Ultimate Robin Mix with high energy ingredients including suet, mealworms and sunflower hearts. Perfect for feeding Robins all year round. Can be fed from a seed feeder, but best fed on a bird table or on the ground.